To celebrate more regular writing, this is my first ever Six on Saturday post, joining in with a whole host of other bloggers to highlight 6 things we’re particularly pleased with in the week. I don’t know how regular my contributions will be, but it’s a lovely way to focus on what’s going on. 1. 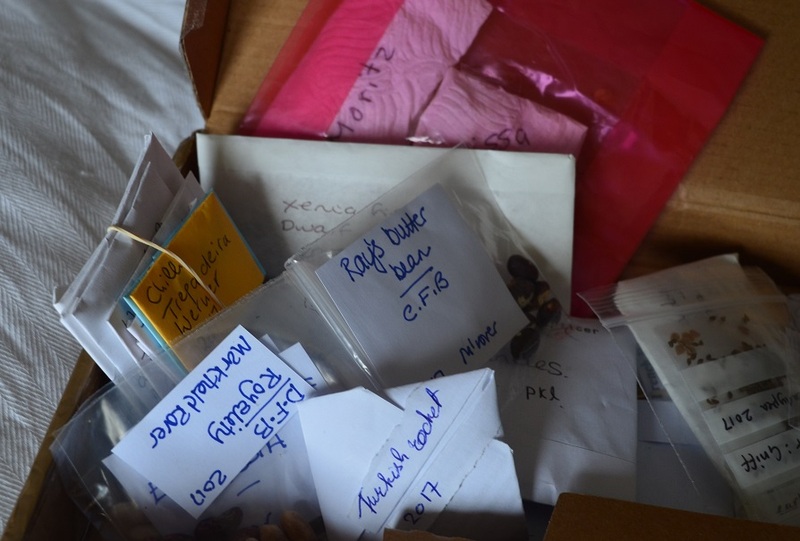 I’ve been hovering next to the postbox, waiting for the very last rattley seed circle package to pop through and now it’s here I cannot wait to rifle through it and plan my season’s growing properly. Seed circles are a real highlight in my year and I usually join a few. I spend the season selecting and growing a few varieties that are delicious, rare and/or unusual and I share seeds from them with other growers. For free – or as free as providing return postage can be. 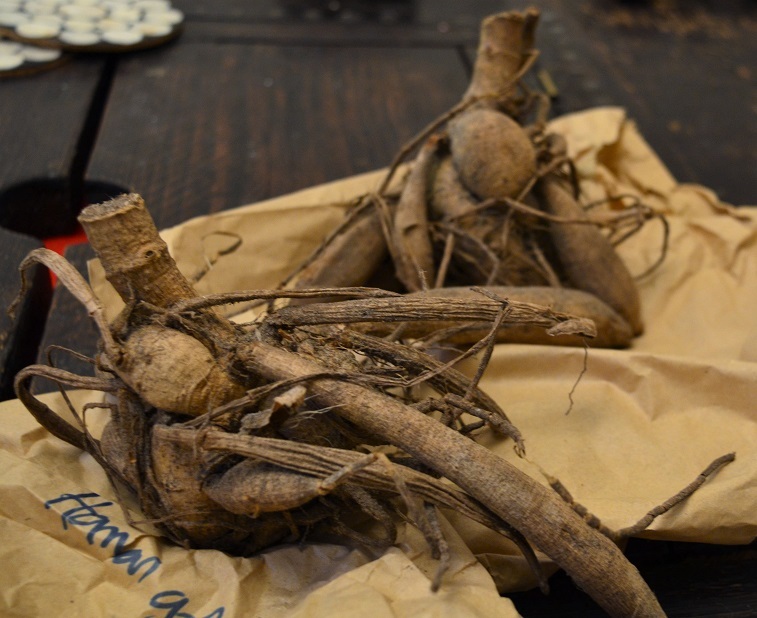 It is a fantastic way to learn more about the plants I grow, to connect with likeminded people and to discover new varieties – I have skirret to try this year, plus catawissa onions, a whole host of beans and chillies and some wonderful sounding tomatoes. If this might be something you’d like to try, I run a Twitter-based seed circle which is open to all. It currently has 11 people signed up and space for a few more – more info is here: Twitter#SeedCircle18. Do get in touch! 2. Saffron beds have been weeded and fed. 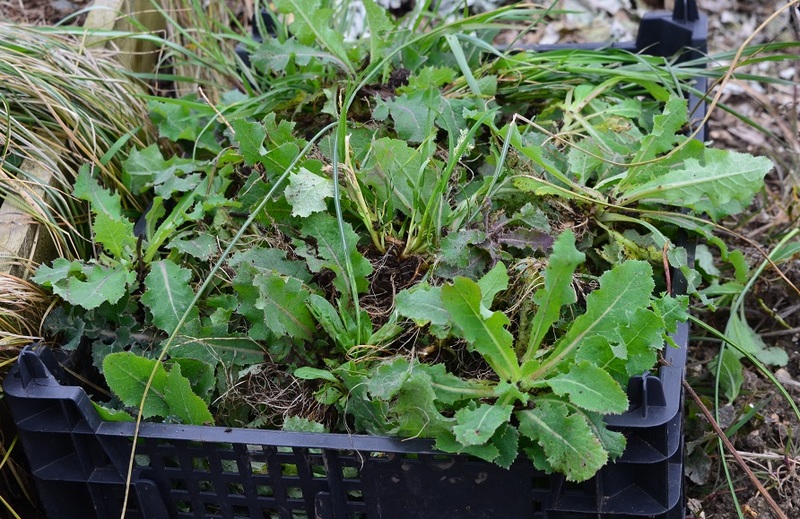 Both beds had been colonised by much opportunistic and tap-rooted evil – thistley things and dandelions predominantly. The plus point of all the organic material I’ve added (compost, spent hops, manure) is that the soil is loose and fluffy and it is really easy to pull them out with that blasted tap root intact. Four gravel-trays-worth came out in the end – a very satisfactory result! It looks from all the clumps of leaves that the corms have multiplied nicely, but, being sensitive to day length, they have also already started to die back. I just hope that they have a chance to absorb some of their dinner before hibernating for summer. 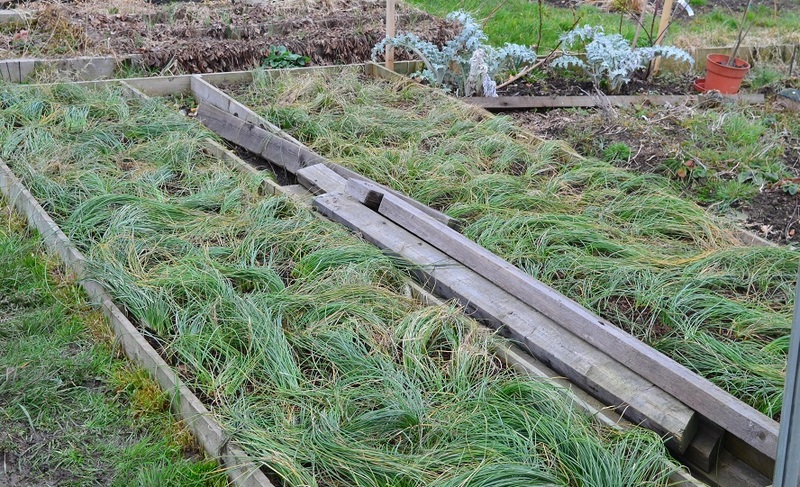 The beds will need a deep mulching at that point, and covering to prevent a weedy recolonisation. 3. Carob. Ten of my twelve plants have survived winter in the most meagre of pots and have been potted on as a reward. They were attacked by an unidentified family of creepy crawlies, some of whom sewed leaves together in an effort to hide from view. It didn’t work. For year-old plants they aren’t very big at all – I know they are slow growing, and the tiny pots they were in can’t have helped. Hopefully their new roomy quarters and a scraping of food will encourage them to bigger and bulkier growth. Most carob varieties are dioecious, meaning plants are either male or female. Only a scant 5-6 more years to wait till they might start fruiting and I discover whether I have grown any useful female plants, or just a snoozy gentlemen’s club. 4. Despite my current lack of Horse I am riding as much as my bank balance allows. One of my favourite stables is a mere hop, skip and jump away from RHS Wisley…and after 30 puff-inducing minutes learning how to keep my lower leg still at trot and canter, it offers an oasis of calm to hobble round. Wisley Spring Fair happened to be on. And as it’s not the done thing to come home with just one plant, I brought home two new dahlias to hopefully join the mudandgluts herd, or start a fresh new one if the others have met a cold, wet, sluggy doom! Meet Striped Vulcan and Hanan Gold, both from Pheasant Acre. Both look spidery, and unprepossessingly brown now, but their flowers are orangey, spikey and grow 4-5ft tall. Stakes will be required, together with much manure. 5. 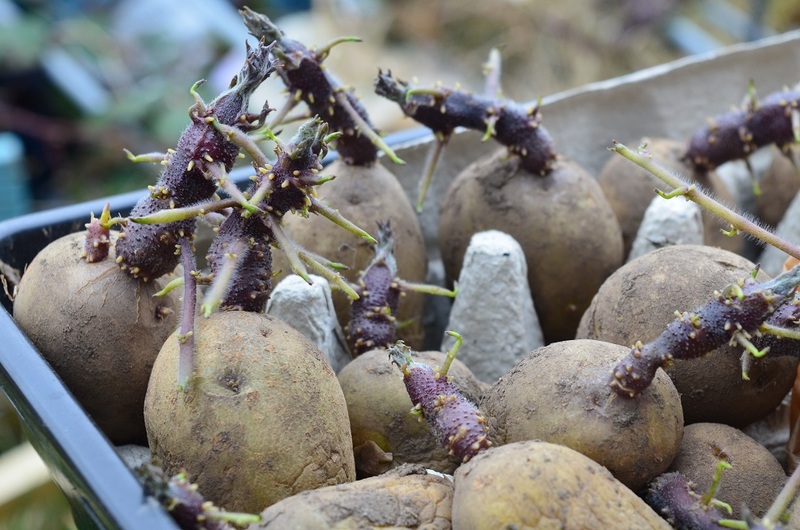 I’ve thrown caution to the winds and planted out some of my seed potatoes. To be fair the Charlottes weren’t so much well-chitted as redefining themselves as air plants. The long pink bed on #100 is about the only place not running with water about a spit down, and again I put that down to massive amounts of organic material added over the last couple of years, particularly leaf mould and manure. And now I am off for a well-earned pint in the pub. Six on Saturday is a weekly meme – started and hosted by The Propagator. He keeps a handy list of more ‘sixes’ from other gardeners in the comments box under his latest post, which you can read here. Many thanks to @cavershamjj for the encouragement to join in. Welcome to the gang. Sending you some virtual chocolate as a welcome gift. Perhaps we need to point out to new readers who will now flock to your blog that your horsey activities were very much to help others and that any return gifts of manure were purely co-incidental. I should really write that up properly. There’s a thought. I’ve got the photos etc and it would be good as a precursor to the main RHS shows. Thanks for the welcome, I really like the meme. I counted a neighbour as one of my Six once. Jon is rather inclusive in his rules. I got a scare when you mentioned your saffron, as I’ve done nothing to mine since harvest. Then you mentioned feeding & I was able to relax again. What plans do you have for your carob crop, should there be ladies in your bunch? Am glad the rules have plenty of wriggle room! I’m not sure what to do with any eventual carob. In Italy the pods are sold semi-dried for snacking on, which is how I came across the seeds. They aren’t tooth-friendly! How much saffron do you have? I’m pondering whether mulching & covering is a better option than sowing red clover over the top once it’s died back to give the soil more of a boost for autumn growth & flowering. What do you do? O Lordy, you’re way ahead of me in the saffron dept. This year was my first. Got 30 bulbs, stuck them in planters & let her rip. Planned to turn them out to pasture this year, as they’re prolific. Like your idea of red clover – will you turn it when the plants are young? I thought I’d just cut at ground level and leave it on the surface as a mulch/weed suppressant. If I turn it in I’d likely risk disturbing the corms underneath. Nice blog, I was under the misconception that 6 on Saturday had to be 6 plants, I’ll have a rethink about my participation now. Hoping for a hot sunny Easter now. I hope I haven’t broken the structure on my very first go! The great master featured string one week!! Look forward to seeing a six soon. 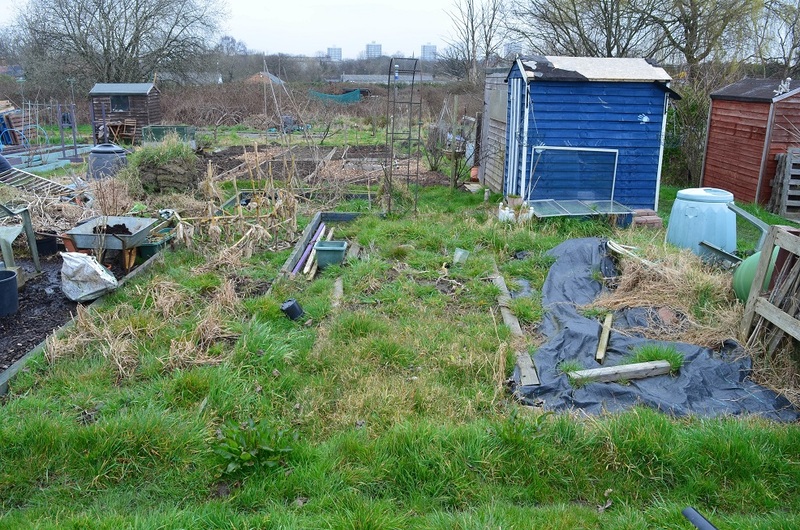 Jealous of your allotment. Am on a waiting list but 7 or 8 years to go. I have to squeeze as much as I can out of 3 8×4 raised beds in the back garden. I’m going to plant my earlies next weekend i think, they have put on some nice chits. I didn’t realise your space was that limited – you do cram an awful lot in! 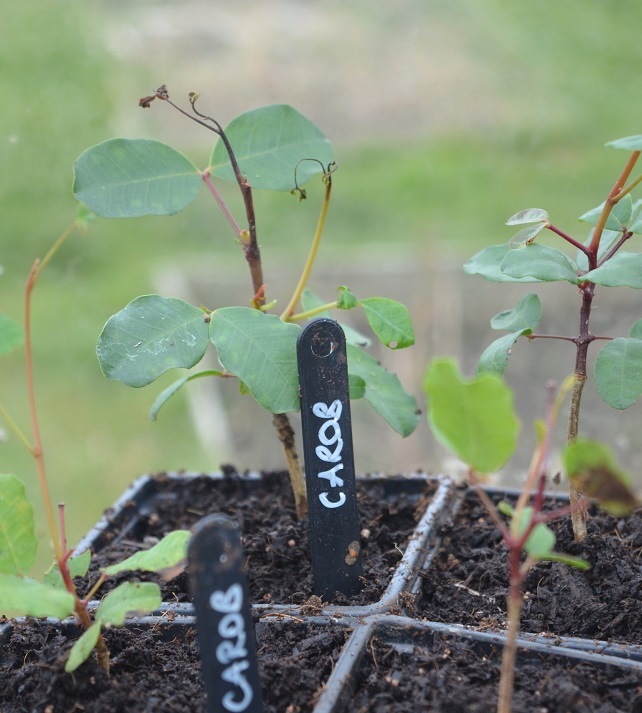 Your commitment to growing carob is great – shows the long term nature of gardening. Hope you have some lady carobs in amongst the gentlemen’s club.